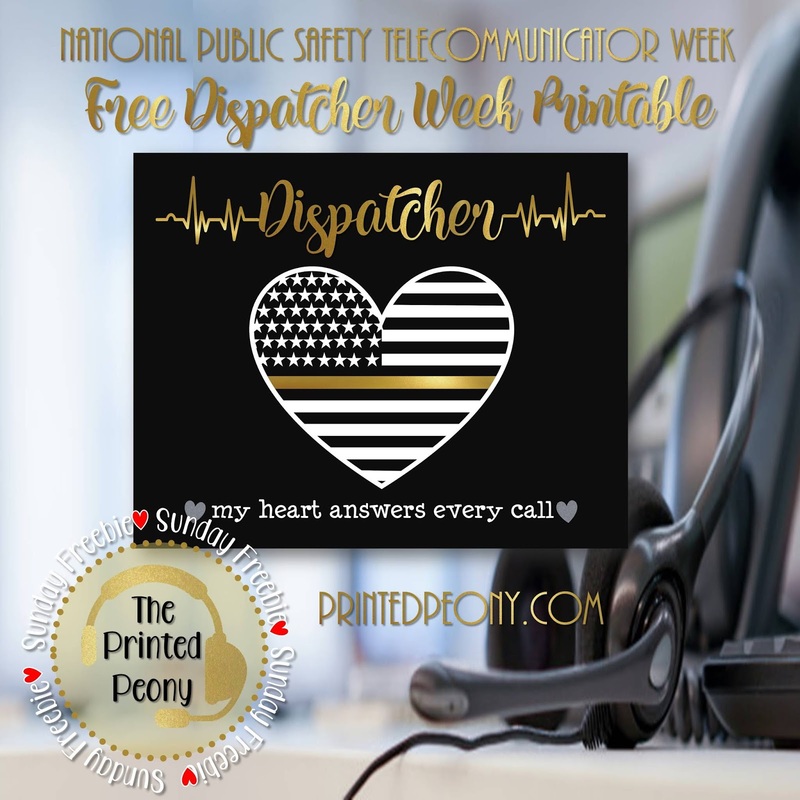 This week in Honor of National Public Safety Telecommunicators Week our Sunday Freebie is a Dispatcher Printable. 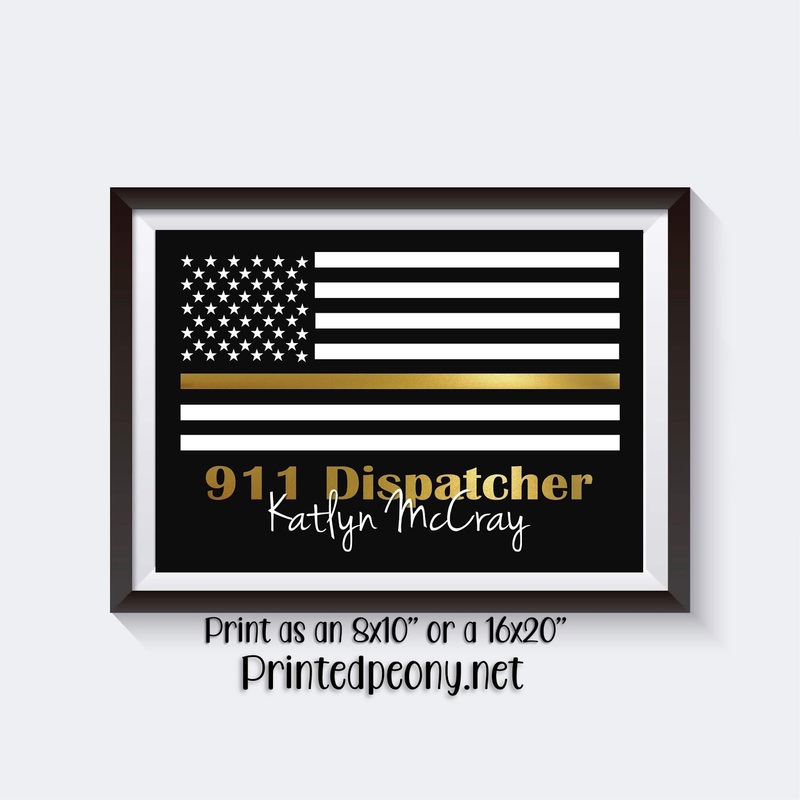 Features a Black Background Gold Texture Lettering and a white heart gold line flag. The watermark will not be on your downloaded image. This 16x20" jpg can also be printed as an 8x10 or a 4x5 inch print. Thank you to all our Dispatchers for your service to your communities! 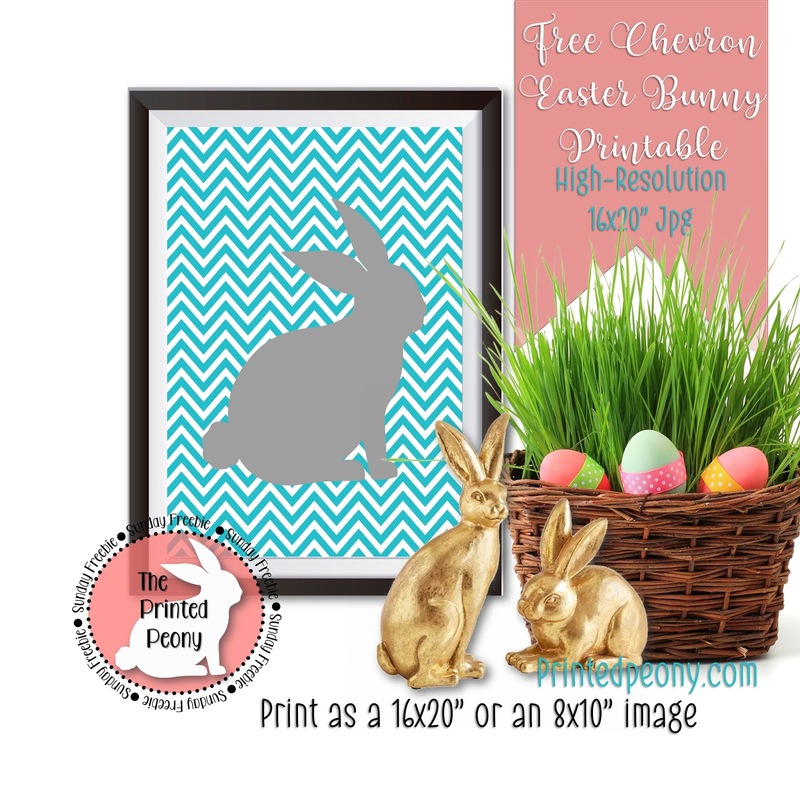 Spring is here and Easter is on the way so this week's Sunday Freebie is an Easter Themed Print. 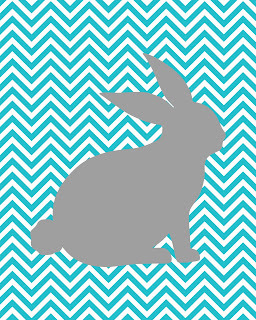 Our Chevron Bunny Print features a Grey full side silhouette of a bunny on a turquoise and white chevron background. This free printable is a 16x20" 300 dpi High Resolution jpg and can be printed as a 16x20" Print or an 8x10" print. 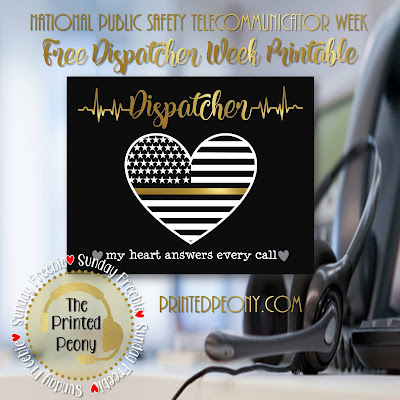 We have a few new Printables this year in the Etsy Shop for Dispatcher Week! We also created a short video ad to highlight the designs available in the shop. 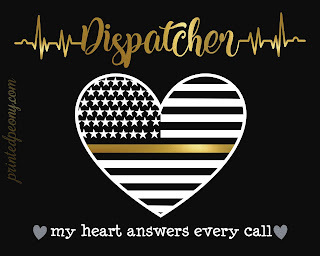 For Dispatcher Printables we highly recommend having them printed somewhere like Walgreens. 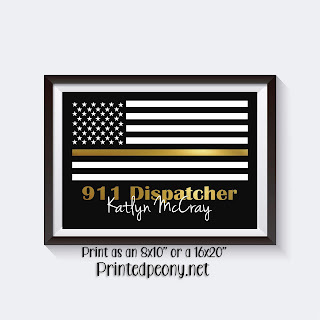 Due to the Gold Texture used on all our Dispatcher Printables to represent the "Thin Gold Line"
All Printables on this website are free for personal use for yourself or as gifts for family and friends. Commercial Use is Prohibited. We offer a large selection of High Quality Free and Affordable Printables for every occasion. Here on the Blog you can find Free Printables or Check out our Etsy Shop for Custom and Personalized Printables.